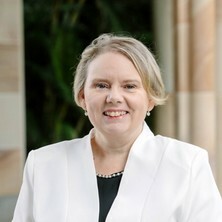 Judith Mair is an Associate Professor and Discipline Leader of the Tourism Discipline Group in the UQ Business School. Her research interests include pro-environmental behaviour and resilience both in tourism and events; the impacts of events on community and society; consumer behaviour in events and tourism; the relationship between events and climate change; and business and major events. Her PhD investigated decision-making in the events context and was completed at the University of Strathclyde. Judith is working on a number of projects including investigating the potential for events to act as a catalyst for encouraging pro-environmental behaviour change; researching the links between events and social capital; and assessing the potential impacts of climate change on the tourism and events sector. Mair, Judith Conferences and conventions: a research perspective. Abingdon, Oxon, United Kingdom: Routledge, 2014. Mair, Judith (2014). Greening of events. In Terry deLacy, Min Jiang, Geoffrey Lipman and Shaun Voster (Ed. ), Green growth and travelism: concept, policy and practice for sustainable tourism (pp. 83-96) Abingdon, Oxon, United Kingdom: Routledge. Walters, Gabrielle and Mair, Judith (2014). Post-disaster recovery marketing for tourist destinations. In The Routledge handbook of tourism marketing (pp. 461-472) Abingdon, Oxon, United Kingdom: Routledge. Requests for zoo visitors to undertake pro-wildlife behaviour: How many is too many? Two perspectives on event management employment: Student and employer insights into the skills required to get the job done!